As some of you know, I have been busy helping to prepare the launch of the Lisbon 1755 project on Kitely. I’m not a modeller, nor a historian, so my work for this project is reduced to shifting content from one grid to the other (my own scripting contributions are still a year away, at best 😉 ). No, the little I was expected to help with was to try to get the project a bit more promoted. Promotion, as everyone knows, is hard work. Academic projects have completely different goals than what the majority of virtual world users like to do, and don’t necessarily live up to people’s expectations. 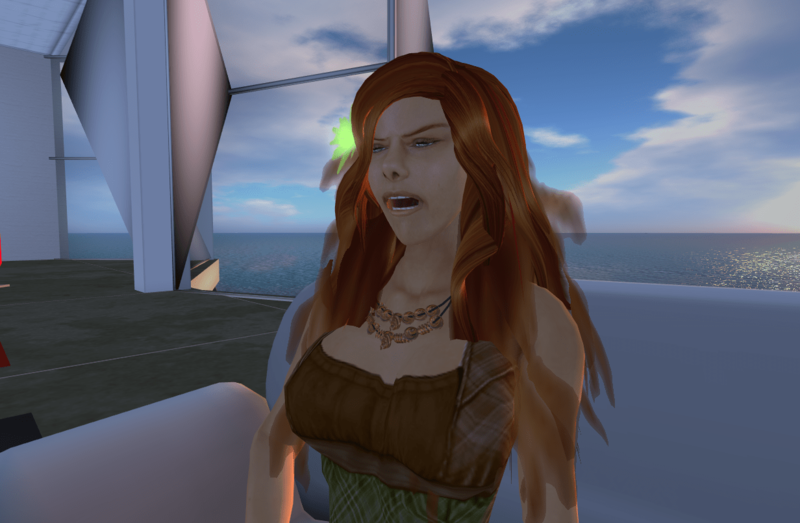 For instance, in this case, I had to patiently explain to some people who complained that there are far better things done in Second Life that the purpose was not to get people immersed in a Triple-A-quality environment, like it’s possible to do in SL these days. Instead, what mattered was historical accuracy with factual documentation. Many things simply cannot be recreated more accurately than what is shown on existing paintings, engravings, and so forth. In SL, one has creative freedom to do environments “inspired” by heritage sites, and these can be modelled to look as intricate as possible. On academic projects, this simply might be not only impossible, but undesirable — how can other historians validate the claims on historical accuracy, if the modeller just says, “I did it like this because it looks cooler that way”? First and foremost, it’s a history laboratory. What this means is that it’s a tool where historians and archaeologists can formulate hypothesis, gather their data and evidence, and put it to the test in a virtual world, and see what comes out of it — and reject or accept the evidence, based on the results. Then it’s also an educational tool. Instead of describing to students how things looked like in the past, or showing them pictures of paintings and engravings, they allow students to get immersed in the environment. For example, telling someone that the Opera House in Lisbon was some 60 m tall is just a factoid that doesn’t impress people much. When they walk in the building with their avatars, however, it suddenly becomes apparent that one is inside a building where the ceiling seems to be impossibly high — in fact, about 17 floors away (or so), which, for a Portuguese, means comparing it with some of the tallest buildings around here (aye, due to the 1755 Earthquake, we still don’t build very tall buildings any more). Then, of course, there were two extra challenges. Being a project with next-to-zero funding (it’s not “zero” because someone is paying for the researchers to publish their findings and to attend conferences 🙂 ), the question, in the past seven years, has always been — how on Earth are we ever going to afford enough money to display this publicly? Thanks to Kitely, we now have a solution. And it’s not even a “compromise” — Kitely’s infrastructure gives avatars an experience very close to what they would get if this were hosted in Second Life. In some cases it’s even better. Sure, there might be some slight glitches now and then, but SL suffers from them as well (right now, I gave up shopping on DamselFly’s in-world shop because my viewer keeps losing the connection with the region 😛 and so I went back to blogging…). The second challenge was something I hadn’t done for a long time: promotion. Some weeks ago, I attended one WordCamp conference which was hosted in my home city, Lisbon. WordCamps are conferences for WordPress developers, designers, users, and fans. These days, WordPress runs on half of every new .com website put out there, and it runs on 16% of all websites of the world. 16% might not seem much until one realises that this is the content management system with the largest marketshare — it’s an insanely fragmented market out there! Being an open source product, WordPress has the equivalent of a billion US$ of annual work put into it, to make sure that it runs smoothly and without glitches. 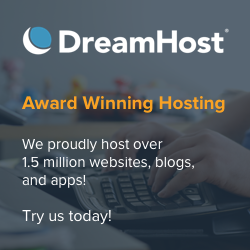 No other content management system ever comes close, not even the highest-end commercial systems from the top solutions in the world. But… anyway, I digress: it’s clear that even an open source platform has to have its conferences and meetings, and, since it’s a tool for everybody — from the lone blogger to media conglomerates — discussions and debates often go beyond the nitty-gritty details of installing and configuring WordPress, or what themes are more fashionable these days, or what plug-ins we cannot live without. One of the discussions had a panel of people from the media industry. Most were or had been journalists — some with decades of experience of “regular” media but also of online media. I was sitting back and yawning, expecting a boring debate on how Facebook is cool. I’ve been to similar events before. I have many close, personal friends who are journalists spending all their waking hours on Facebook (or sometimes Twitter) and publishing article after article about how wonderful social media is — thus justifying to their editors why they spend so much time on it. For the past 2-3 years I’ve been subscribed to mailing lists from IT experts, marketing specialists, social media gurus, and all that kind of thing — that’s my “lifeline” to reality, if you wish. Almost all of these are excruciatingly boring, but, alas, it’s my job to know about those things and how they relate to technology in my field of work. Social media has become so popular that burying your head in the desert sand won’t make it go away — it will just make you look silly for ignoring it. The debate started as I expected — with a long rant on how social media changed the way people perceive information, how they can so easily correlate information from different sources and distribute them according to what they like, reaching similarly-minded individuals that way, and quickly covering the whole planet in seconds, as things “go viral”. But then the flow of the conversation changed. A few days before, Portugal had gone through one of the largest public rallies against the austerity measures imposed by the European institutions and the IMF, and, like the second largest rally, this one had also been organised and promoted via Facebook, taking the lead from the “Arab spring” rallies and pretty much doing the same. Nowadays there is hardly a week where a rally is not organised that way, even though few came even close to get the same number of participants. Well, the mainstream media had very strongly emphasized the point that “it had been all done through Facebook”. And at this point the panelists started to disagree. What they said is that this was a very convenient way of manipulation. In fact, what happened was that, at some point, a mainstream media journalist picked up the social media stream and vented it publicly on the mainstream media. Then it became viral. And not the other way round. This got some embarrassing gasps from the audience. But then the remaining panelists started to support this view, since they suddenly realised that they weren’t expecting to chant the “We Love Facebook!” mantra any more. They told the audience that uncountable rallies are announced, every day, via Facebook. Almost all fail to attract the attention of more than a handful people. Or even 500. Not to mention 10.000! But all it takes is for one of them to suddenly reach a well-placed journalist, who publishes it on the mainstream media — be it on TV, radio, newspapers, or on the websites for these three kinds of mainstream media — and, well, then the avalanche really gets going. This can happen so fast that people sharing links with their friends and saying “look what’s happening on Facebook/Twitter right now!” are not really aware that they’re doing that because they saw it happening on TV first. The debate continued about the issues related to the difficulty of getting good, validated sources of information. Media conglomerates have their biases, so it’s only natural that people wish to avoid their fabricated lies, created to please the groups “in control” — sometimes even governments — and are desperate about “alternative” sources. Small countries like Portugal don’t have a free, independent press any longer: it’s all part of the media conglomerates, which, in our case, are dangerously close to government. Ironically, sometimes, it’s even public TV — funded by government, with their CEOs appointed by politicians — which often gets the most unbiased and neutral news out. But that is not consistently done: sometimes, crucial information gets filtered, doctored, spineed, or simply “censored” (by “kindly requesting not to publish that — or you’ll get fired”, which is the usual tactic employed against unruly journalists), and the public has no idea what has been done to a bit of news they’re reading or watching on TV. But opinions on blogs, Facebook, Twitter, etc. are also biased. Actually, they’re far more biased, since they’re completely unedited and unfiltered. You can pretty much lie about whatever you wish. Hamlet Au on New World Notes writes about the recent example of an anonymous user posting fake information about the effects of the Sandy superstorm, and this is just one example of the kind of junk floating around on the Internet. In fact, everything from misinformation to blatant lies get spread around so quickly these days that I have to admit I’m shocked — even though I know I shouldn’t be. My point here is not to discuss “what is truth?” or “where can we find truth in the media these days?” but more to point out about the myth that social media is “beating” mass media. It isn’t. It’s the subtle interplay between social & mass media that is having some surprising results. Or, putting it differently: social media doesn’t really “democratize” more, nor does it give people access to “freedom of speech”. It might just raise the chances a little more of your opinion getting picked up by the mass media. Pro-social media marketeers with an ideological stance tend to exaggerate its qualities and its role in democratic countries. Until recently, we all had freedom of expression well-written in our constitutions; but did we really exercise that right? In fact, if someone walks into a TV station and says, “my constitution says I have freedom of expression. I want to tell my opinion to the whole country. Please put me on the air” — they will be laughed at at best, kicked out next if they insists, and put behind bars if they complain too loudly. It’s not how it works. The “right” to freedom of expression is not the “right” to get to the mass media and express your opinion. They’re two completely separate things, and so many people unfortunately confuse both. In reality, only a handful of people — the ones hired by the media conglomerates — actually have “an opinion”. The rest of the world matters little. What the “right” means is that you’re allowed to create your own mass media distribution system to express your opinion freely, and nobody can stop you from doing so. But of course that takes a massive amount of money (plus time). So, to be honest, that is simply not going to happen. Enter social media. Distribution costs are zero. Now, finally, your opinion can truly be disseminated to the masses! This reminds me of my grumbling and complaining that Cloud Party didn’t really have “a market of 900 million users, because every Facebook user now can become a Cloud Party user as well” (similarly, Second Life on Steam doesn’t automatically “get” 40 million new users). That’s a fallacy: it assumes that each and every Facebook user has been informed that they can join Cloud Party. Which obviously didn’t happen. Cloud Party could, of course, pay Facebook to send such a message to all users they have — but how effective would that really be? And how much would it cost? Billions. No, the best that Cloud Party could wish was that this meme — “we have now access to 900 million Facebook users” — got picked up by someone and made it viral. It didn’t happen, so, their next best wish was that someone from the mass media picked up the story instead. And here is the actual catch: your opinion matters little on Facebook. Very little. Sure, you can reach a bit beyond your friends. Sure, social marketing specialists are able to push an “opinion” — for a price — a little further than that by cleverly twisting words. They’re effectively doing what spam has done in the past decades, just call it by a fancier name. But people have been de-sensitived against spam these days. Spam still works, even if just once per million messages sent. Similarly, clever marketeers might be able to reach an audience of a million people with their forged message, and get one response back. Well, or a thousand, it matters little. The whole point is that: whatever messages are spread via Facebook, they matter little. I have some acquaintances who are reading this right now who are, by now, fuming and turning purple. They will argue that they have carefully crafted a hierarchy of networked “key elements” who are guaranteed to spread some news around, and they can even have sophisticated metrics explaining how vast their reach is, and how many people actually click on a “Like” (or do a retweet) or even visit a link. That’s all very nice, but it never reflects the real issue here: compared to mass media, how many people actually buy the product? Journalists might take the bait. And then, well, they will have to go through their editors, of course. Who — depending on the political and financial control of the media they work for — might accept to publish that bit of news or not. But they will have to juggle with all other issues — relevance, for instance — because, well, mass media works from advertising, and it doesn’t pay to write articles that will get advertisers angry. So in practice it’s hard to say how much impact social media can have even if they capture the attention of journalists. Of course, in some cases, journalists might never get that bit of news approved by their editors, but can publish it on their own blogs. Which might have audiences of tens of thousands, or even — in extreme cases, there are not that many bloggers at that level — hundreds of thousands or millions of readers. But at this high-end, there is little difference between a “blogger” and a “media conglomerate”. Top bloggers live from their earnings from blogging, and this means knowing what they can write about to please their audience — who will click on those lovely Google ads which pay the bills. Also, of course, a blogger writes about their opinion, and seldom about the opinions of others 🙂 unless they coincide, or unless they want to refute them somehow. It’s true that this is slightly marginally better than before social media. In 1990, my opinion would be known by, say, a handful of friends and some close family members. By 1994, I had ICQ and email, so I could reach a few dozens. Nowadays, I reach a few hundreds (on a good day) — and I have a page on Facebook, so I could (misleadingly) claim that I reach “a potential market of 900 million users”. But I could even go further and say that there are 2 billion users on the Internet and all can reach my blog. 🙂 It would just be lies and lies — it’s not how it works. Potential is not the same thing as audience. That’s one reason why many corporations are simply giving up social media as a replacement for mass media. And it’s not just because most Facebook ad clicks come from robots, either. It’s really because maneuvering to get a friendly journalist to write an article about your corporation on the mass media pays off much more than carefully establishing a network of Facebook fans on your page. This doesn’t mean you should avoid Facebook (or Twitter, or Google+…), you just shouldn’t expect much from social media. This, ironically, is what people learned when they pulled out from Second Life — they simply cannot reach far that way. Anedoctal evidence is not worth much. After all, one single case cannot be turned into a rule or give a faithful prediction about the future. But sometimes it can help to drive a point across. It’s thanks to those “single examples” that groups of people have found out why social media simply doesn’t pay off. But the whole point was to get people to log in to Kitely to view the project. How many did so? 4 or 5 🙂 Now this isn’t too bad by itself, except that those 1268 persons allegedly were people interested in Beta Technologies’ work, i.e. they’re supposed to be virtual world users, developers, or fans. But only 4 or 5 found the article interesting enough to actually log in and view the content. This was slightly “aided” by my own blog, which also featured some links to Kitely on that very same day, and which can have, on a good day, some 1500 or so page views. On late October 31st, on the other hand, an article based on the interview with the researchers of the team leading this project was published on mass media — on the website of Portugal’s largest weekly newspaper, Expresso. This allegedly got 40.000 views in the 48 hours that it was a featured article — which is not bad for the size of Portugal (the website has regularly 100.000 viewers per article). The project’s main website, which was linked from the article, got 20.000 page views (!) in the same period, 4000 of which were unique. The video for the project, also linked from the article, got 20.000 views during those 48 hours as well. Beta Technologies website, which was not linked, got… 4 or 5 views. Well, except for a page with some instructions in Portuguese about how to connect to Kitely, which got a few hundreds of page views. But the astonishing bit is about the goal: according to Kitely, more than 2200 people logged in to visit the content, and over 550 new users registered directly from the project’s page on Kitely (each virtual world hosted there gets its own page). So when relying solely on social media, we got a reasonable amount of people reading (or at least clicking!) on a web page, but actual “clients” (in the sense that the measurement, in this case, was “how many people would log in to Kitely?”) were just a handful, not even half a percent. And, as said, social media is actually about people interested in the content! On the other hand, mass media got a turnover rate of roughly 10%. One in ten viewers actually logged in to Kitely. One on forty, even though they never heard about virtual worlds before (we got them in-world saying so), were “persuaded” to try it out. Why? Because, well, mass media are perceived as “truthful”. Definitely more “truthful” than social media! After the “big launch” the numbers are also interesting. Of course, such an impact doesn’t “fade” to the background so easily. On my own blog, there was just a slight difference — traffic has increased slightly and remained higher than the usual (I have no diea for how long). Beta Technologies’ own website returned to its pre-Oct. 27 status. The Lisbon 1755 official website, which usually has 500-600 page views per day, after the huge surge in traffic, is still having ten times the amount of usual traffic, but sharply declining. Social media, however, is still much better than spamming! Aye, it’s tough to hear that. I would have been utterly amazed if I didn’t listen to that conference on WordCamp. 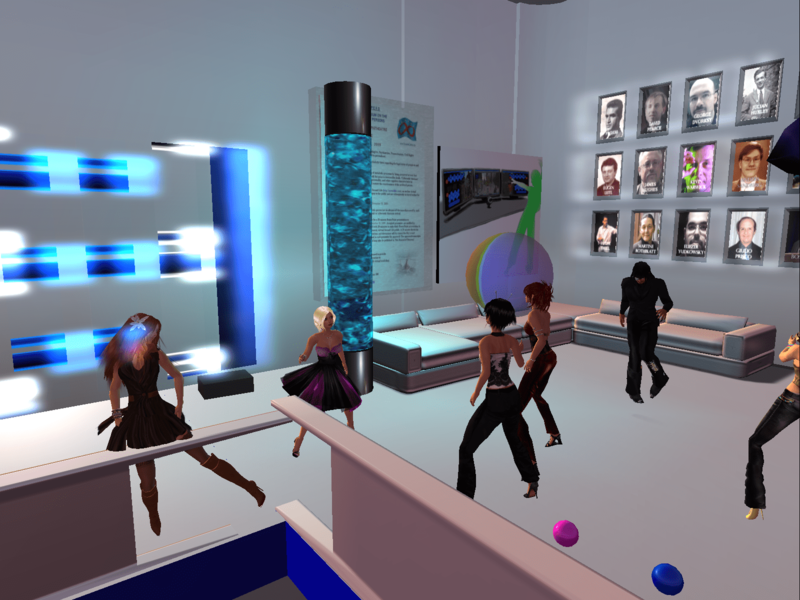 Eons ago, Prokofy Neva had pointed out one of the major failings in Second Life overall: the lack of true mass media. In fact, the closest thing to “mass media” is the login page of Second Life, and, as you all know, only relatively recently LL has started to capitalise on it, by at least posting some “interesting” things (events and destinations) on it. For years and years people were asking to be able to pay for their personalised message on the MotD (the bit that you have to read while you’re waiting for the region to load after login) — and, for a while at least, Linden Lab allowed that to happen. I’m not sure if this has gone beyond the “trial phase” and if it’s still a service used by Linden Lab or not (I didn’t manage to check it out). For years, the closest we had were the Linden forums. The many (deliberate) changes that LL made to make them more and more difficult to read, search and participate meant that less and less people stick to them and go elsewhere to read news and information about SL. In fact, one might say that one of the major characteristics of Second Life is its fragmentation. Some might think it’s a good idea — it’s not “one community”, but zillions of communities. There is not “one” source of information, but zillions of sources. Hamlet Au is running a “top favourite SL blogs” contest, but he also points out that there are more than 2000 blogs about SL. I’m not on that list, neither is Tateru, and Prokofy is misspelt, but it’s still perhaps one of the most complete lists ever assembled. But it just shows the incredible amount of information spread around so many different places. We all know that businesses still manage to survive in spite of the lack of mass media in SL. Which is truly amazing! I have no idea when it was the last time I clicked on a classified ad in SL or on the Marketplace, but I certainly take a look at things posted and discussed on my own favourite blogs. So SL might look like it doesn’t need mass media after all: fragmented or not, opinion comes across. Somehow. But the truth is that nothing else gets as much attention as the MotD (and, to a degree, the login page), because, like TV and radio, they’re the only things that actually get across all users. That doesn’t mean that the 50 or 60 thousand people that are simultaneously online at a given time did all read the MotD or clicked on the link. It just means that these links get a very high probability of being seen (or clicked). And even if just one out of ten (English-speaking) residents actually jump to a location or click on a link on the MotD, well, that’s still far better than anything else. I don’t truly know how one can “create” mass media for SL. So many have attempted that and failed. Treet.TV used to claim that 1/3 of SL’s active users — 750.000 at the time of the claim — watched their shows. After Paisley Beebe’s legendary “Tonight Live with Paisley Beebe” show shut down, I wonder how many people still watch it. Metaverse TV claimed to have 10-11 thousand monthly users viewing their content in late 2010. They’re still around. Still, no matter what, they don’t reach everybody. New World Notes is still perhaps one of the most read blogs about SL, but, frankly, the 90.000 monthly page views mentioned on Federated Media are probably hopelessly outdated, since they don’t impress me much. For a million active users, how “big” should a media outlet be to capture them all? I would echo Prokofy and say that the only organisation able to launch true mass media for SL is Linden Lab. They’re the only ones able to pull that off. A second option might be Kakadu, developers of the Firestorm viewer, since their viewer is the most used viewer by active users logging in to SL — and they certainly could capitalise on that, since they have direct control over the login page and the MotD. But they only put some minor advertising for Firestorm (which is a bit redundant!). What we need is a Second Life Media Agency able to discuss terms with either Linden Lab or Kakadu — or, preferably, both — and hire some space on the respective login pages. With that in place, they could, on one hand, provide articles and information that everybody would be able to read. But of course they would also be able to feature some advertising — true, mass-media advertising — on that login page. I’ve also suggested elsewhere that viewers ought to allow information and ads to be displayed while people are teleporting. Think of them as commercial breaks 🙂 They’re worth solid money — after all, 50-60 thousand people are online at every moment of the day, and that’s good enough for commercial advertising. Many TV channels on cable in my country have about that amount of audience, and they are certainly able to capture advertisers that way. I can understand that, but it seems such a waste of time not to place any information there. At least, if ads are seen as being so terrible, I think that the opportunity to display valuable information should not be wasted. Even if all the login page lists are the headlines of the latest news — so that they’re a little less obtrusive — this would really go a long, long way to establish a mass media presence for SL (ads could always be displayed on the full link from those headlines anyway — not as good, but certainly much better than having nothing at all). If LL does it, it would mean they could hire Hamlet Au again 🙂 (heh!) If Kakadu does it, they might get someone like Inara Pey instead, or perhaps a selection of bloggers. With a bit more cleverness built-in, people might even tell about their preferences, and get a personalised feed on the login page — after all, if LL collects “user preferences” on the my.secondlife.com profile page, that information would be valuable to select the appropriate feeds and deliver them to residents. No matter what the solution might be, anything is far better than a fragmented media landscape and merely social media to complement it.